The heat is on in the Valley and Strawberry-Pine is the perfect escape! Did you know Strawberry-Pine is about TWENTY degrees cooler than Phoenix on a typical summer day? Instead of enduring triple-digit heat, you could be enjoying highs in the 80s and all it takes is about a two-hour drive! My favorite part: unlike in the Valley, it actually gets cool at night! 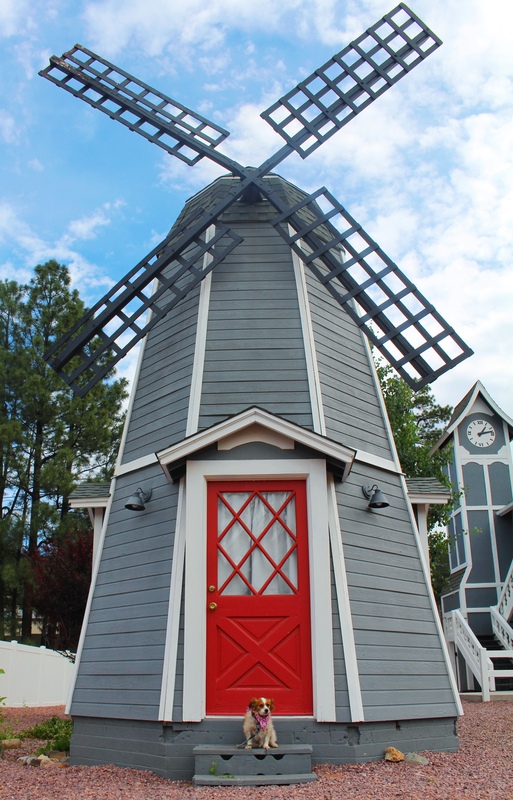 Here are the six things you’ve gotta do when you head to Strawberry-Pine! Not only is The Strawberry Inn unique and comfy, but it’s also in the center of all the action. This boutique beauty is right off Highway 87. The Strawberry Inn has the charm of a historic building with all of the modern luxuries you can dream of from WiFi and a Keurig to a flat screen TV and the softest sheets you’ve ever slept in. In fact, it’s non-hosted, meaning you’ll get an access code in your email so you can grab your key from a lockbox without even talking to a single person. There are eight rooms and each one has completely unique decor. Rooms 5-8 sleep two and are perfect for a romantic getaway. Rooms 1-4 sleep four and they are pupper friendly! We brought Ace on our last trip and he felt right at home. You can pick the room you want and make your reservations now. 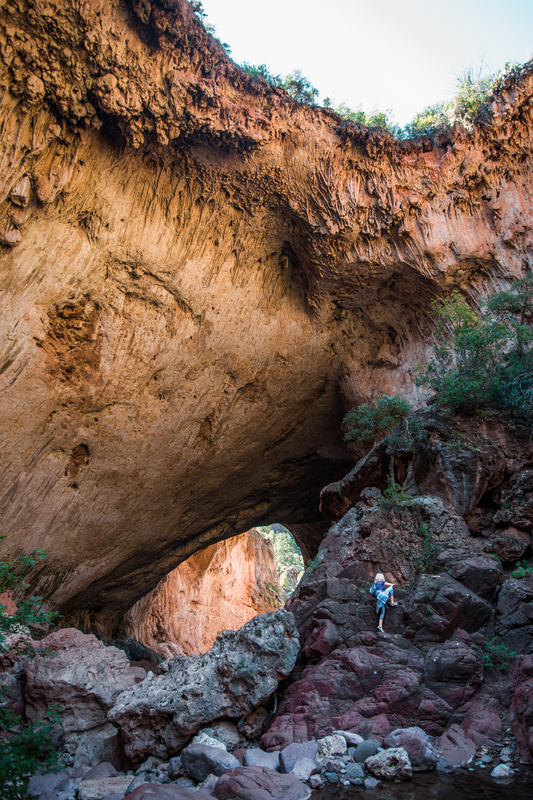 Tonto Natural Bridge is an incredible natural display of beauty in Payson, AZ (short drive from Strawberry-Pine). It is believed to be the world’s largest natural travertine bridge. It’s beautifully formed by erosion and you can even walk beneath the bridge to explore the stunning scenery within. The bridge is 400 feet long, 183 feet high and 150 feet wide. Underneath the bridge, you’ll experience the erosion in action as water drips down the sides and ceiling of the bridge. It actually seems like it’s raining. There are green plants breaking through the rock and thriving. It is truly magical. I recommend taking the Pine Creek Trail which is a ½ mile scenic route to get under the bridge. If you like an adventurous trek this is for you! 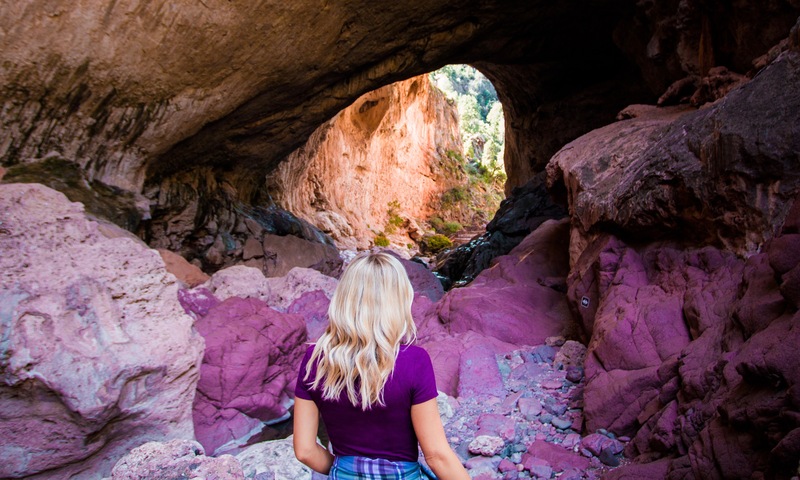 You’ll be climbing big boulders, stepping through river rock, and hearing the sound of a waterfall as you get closer and closer to the bridge. You do not have to hike to the bridge. What I love is that a whole family could enjoy this scenery whether they are a little one in a stroller or an adult with limited mobility. This state park provides viewing areas that are just a short distance from the parking lot and have ramps. You can go to one of those areas and look down at the bridge! To research more on this part of your adventure head here. Pine Creek Canyon Lavender Farm is an absolute must. 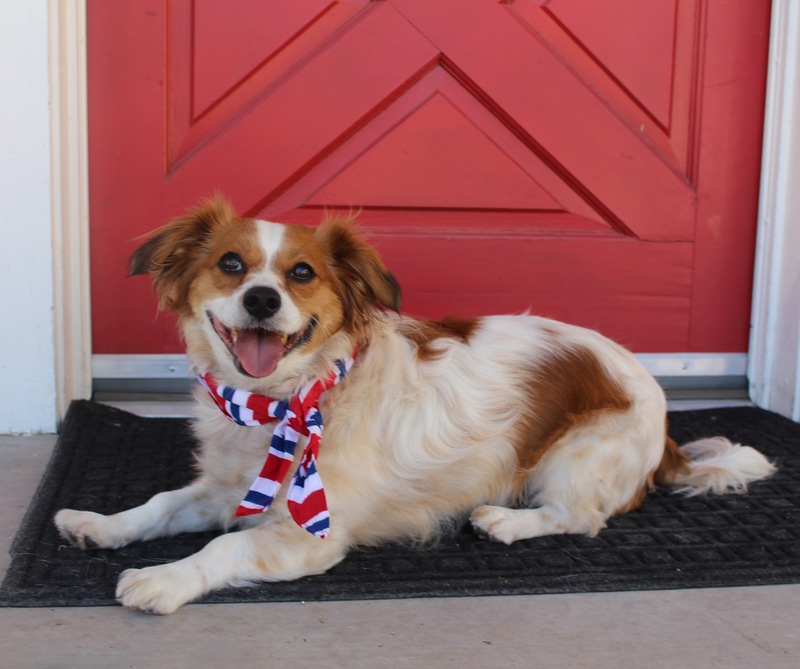 This property is historic and was initially established in the 1800s. 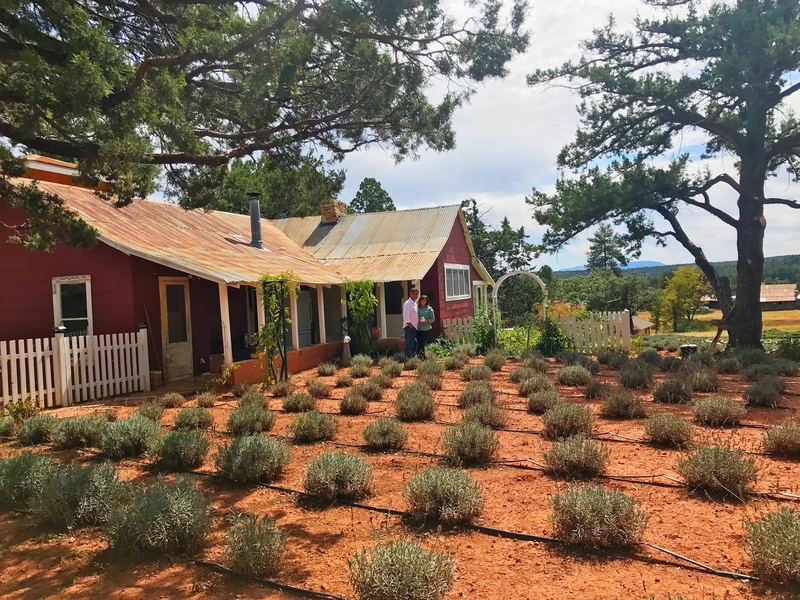 The original log cabin on the property was built in 1890 and today you’ll find it storing all of the lavender that is currently drying at the farm. Terry Gorton and Rick Vesci restored the property in 2015 and decided to plant lavender. Turns out lavender is one of the few things the neighborhood Elk won’t eat and now there are 5,000 lavender plants for guests to enjoy! In addition to getting to take in the beauty and amazing aroma, you can shop, take cooking classes and even have a portrait session. One of my favorite parts of any trip is drinking local. 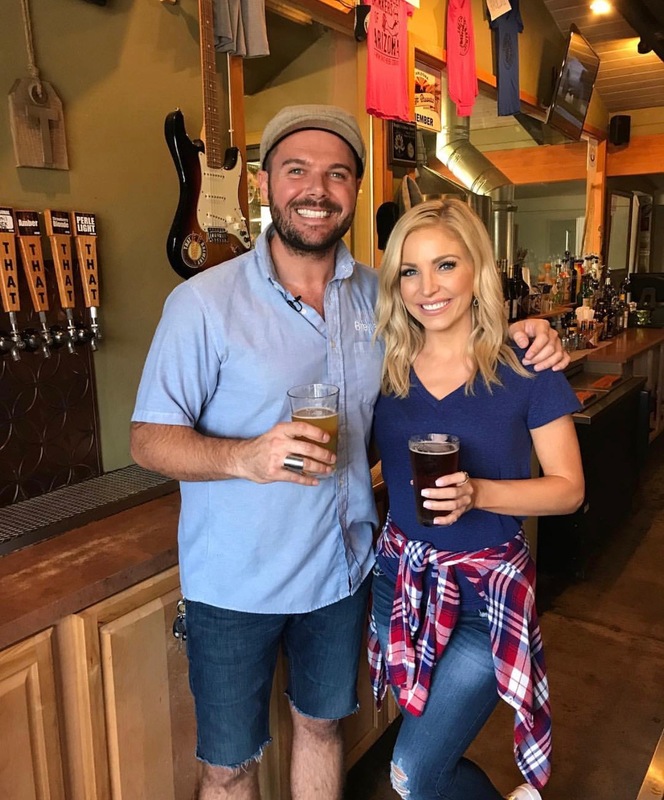 On this trip, you’re going to need to swing by THAT Brewery for a beer and you’ll surely want to stay for dinner. I had the pleasure of getting a one-on-one tasting. My favorite is the Strawberry Blonde. If you can’t make it up to THAT Brewery, you’ll find it in the Valley at Fry’s and Basha’s in cans. This just might be your favorite part of the trip! 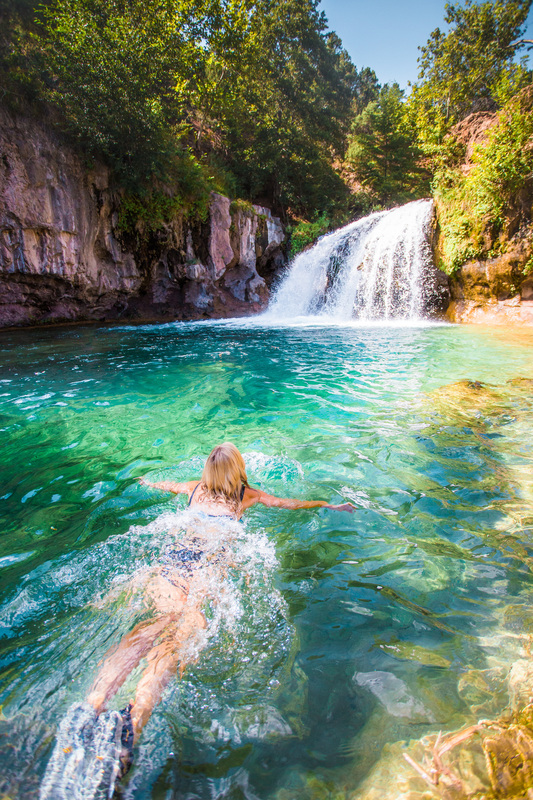 The hike to Fossil Creek is short and sweet but the drive to the trailhead is about 14 miles long. Plus, don’t forget you need a permit from April to October. For all of the details, read this. 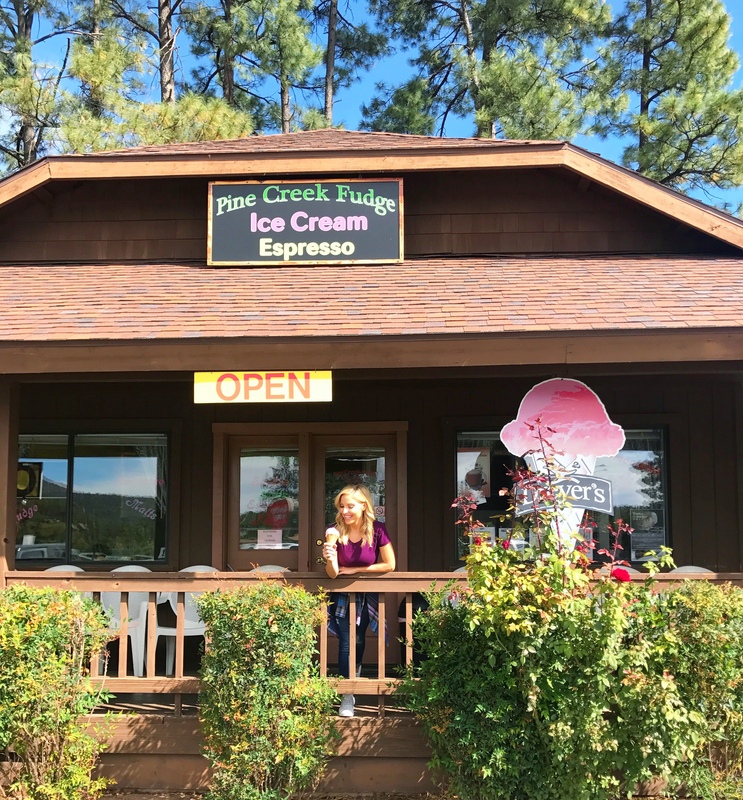 Whether you’re in the mood for decadent fudge, a scoop of ice cream, pastries or an incredible cup of coffee, you’re going to find a delicious treat at Pine Creek Fudge. An absolute must for me is the Pine Creek Elk Tracks Frappe. It’s a blended combo of espresso, chocolate, caramel, peanut butter and more. It’s pictured in my hands below! Pine Creek Fudge also has an online shop. Have a great trip to Strawberry-Pine! For more travel fun, follow Kristen on Instagram.